Nothing is stranger than war. Or more disturbing. It reveals graphically, and tragically, how fragile the flower of life really is. One minute there is peace, and things are settled, certain. The next minute war—and nothing is certain, except that life is all too brief. We Americans are not used to knowing the dangers of war at first-hand—hence our collective shock at 9/11. Rather, we are used to bringing war to others: Viet Nam, Cambodia, Panama, the Balkans, Kuwait, Iraq, Afghanistan. Then (so we supposed) we were in control. War was terrible—but from the safe distance of TV and the Internet (excepting the battle-line soldiers and their families, of course). And our lives went on as usual. In South Korea, where 25,000 US soldiers are based, and where (like myself) thousands of teachers are working, war threatens at any moment. And like last week, sometimes strikes. War is only a few miles away at any given moment: within the easy range of an artillery shell, seen graphically last week when N Korea shelled a disputed, inhabited island, killing four and wounding many. It was the third attack on this island in a little over a decade. Koreans have lived with the possibility of war since the cessation—without a treaty—of the hostilities that marked the end of major fighting in the Korean War. Since then war has always hovered in the air as a possibility, even a probability. Kim Jong-Il, the North Korean communist dictator, like his father before him, plays a high-stakes craps game with the South, stirring up shadows of war in order to blackmail the South into giving aid and food to a starving N Korea, whose government spends all its monies on the military and nuclear weapons and so has nothing left over for its own people. It banks on South Korea’s indulgence and pacific ways, and its fear of war, which would be much more devastating for a developed South than an undeveloped North. But one day the North may well push too hard. China indulges the North for fear of having a united Korea, and US ally, at its border—but in doing so, she risks North Korea getting out of control and a war enveloping all of Asia. I was teaching when the shelling started. My students were terrified. Two girls in the front row held hands; one was near tears. An unnatural silence hovered about us. I did my best to be calm and reassuring, but as a foreigner unused to the proximity of war it was a difficult role for me. Evil men are by definition irrational. Hitler at the end ordered the army to destroy Germany! Such men act unpredictably and without regard to consequences. JFK felt pressure from the military to start a nuclear war with the Soviet Union during the missile crisis, but resisted heroically, thus saving civilization from utter annihilation. (Interestingly, Khrushchev, the Soviet leader, joined JFK in resisting his own military too, and paid a high price for it: JFK was later assassinated, and Khrushchev was deposed less than two years later.) JFK had reason, and was a man of deep faith. 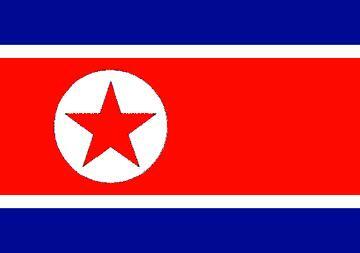 Kim Jong-Il evidences neither reason nor faith. Koreans have lived with the specter of war for over 60 years; for the most part they are stoical—though there is a certain “live for the moment” attitude in South Korea as a result, a kind of “eat, drink, and be happy now” attitude—paradoxically admixed with a severe work and study ethic—that permeates all of society. One day Kim Jong-Il’s high stakes game of craps will fail, and the South’s military will feel compelled to respond aggressively, not just defensively. Then millions will die a senseless death brought on by the unreason and atheism of N Korea’s leader, leading both countries back into the dark ages. All of which reminds me of the essential helplessness of the human condition. Against the Enlightenment, we are not, and never have been, the captains of our fate—though we are, for good or ill, stuck in one big boat together. The words of Jesus—“Blessed be the peacemakers”—have taken on a much more personal meaning for me now. Life is sacred, and peace is blessed.